The Hotel Villa de Laguardia in the heart of Rioja Alavesa has created an exclusive and unusual Spa using the local produce – grapes. Its signature experience is a massage with grape oil. Divided into two independent spaces the thermal circuit complete with an ancient olive tree and surrounded by a foot bath in a barrel and a covered outer area which is stunning at night. The thermal circuit has different contrasting showers, a Finnish sauna, a Turkish bath and an ice fountain. All designed to invigorate the body, activate the circulatory system and relax the mind. The curved swimming pool has water jets, water beds, duckbills, geysers, hydromassage benches and cold water basins, so that the visitor gets the most benefit and therapeutic effect. Not forgetting the herbal teas and relaxing hammocks. 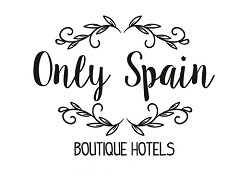 The other area has 15 theme massage cabins for facial and body treatments and various hydrotherapy techniques where you can experience natural treatments based on wine and olive oil from Rioja Alavesa. The Wine Oil Spa offers you a novel à la carte experiences based on the cosmetic properties of products such as chestnuts, sloes, truffles and local aromatic plants like thyme, lavender and rosemary. Wine Oil Scrub: An exfoliating cocktail with Arroniz olive oil emulsified with grape skin, pips and natural grapes scented with mint. Take your pick and be wined and oiled in luxury at Hotel Villa de LaGuardia.